Residents of communities throughout British Columbia, Canada can now look forward to improved environmental infrastructure, thanks to a $243-million partnership between the federal and provincial governments. Examples of projects that will receive funding from this program include improvements to drinking water, wastewater and storm water infrastructure, solid waste diversion, brownfield remediation, and resource recovery, such as methane from wastewater treatment or landfills. On May 31, 2018, the Government of British Columbia will open the application process for local governments and First Nations for the new Environmental Quality program. The program will provide access to funding for projects to improve community infrastructure. These projects will help communities build and maintain the infrastructure that people rely on for a high quality of life. The Environmental Quality program is the first to be announced under the Integrated Bilateral Agreement between the Province and the Government of Canada under the Investing in Canada Infrastructure Program. The agreement commits $3.9 billion in funding for infrastructure projects throughout the province through four funding streams. Rural and Northern Communities Infrastructure Stream. The Province will contribute $110.5 million to the program, while the Government of Canada will contribute $132.6 million. Combined with local contributions, the Environmental Quality program will provide up to $331 million toward critical environmental infrastructure projects. For each project in the Environmental Quality program, the federal government will contribute up to 40% of eligible costs, and the provincial government will contribute up to 33%, with the remaining 27% being the responsibility of the local government. The Environmental Quality program is funded under the Green Infrastructure Stream. Beginning May 31, 2018, local governments and First Nations can apply through the ICIP-BC program website. The Province is administering the program, and will accept funding applications until August 29, 2018. Approvals will be made public in Spring of 2019. Photo of Victoria, BC by Storm Cunningham. 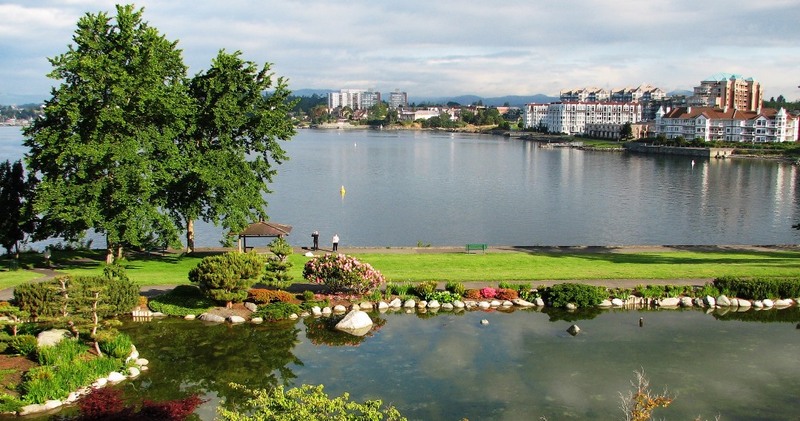 See British Columbia’s green infrastructure website.